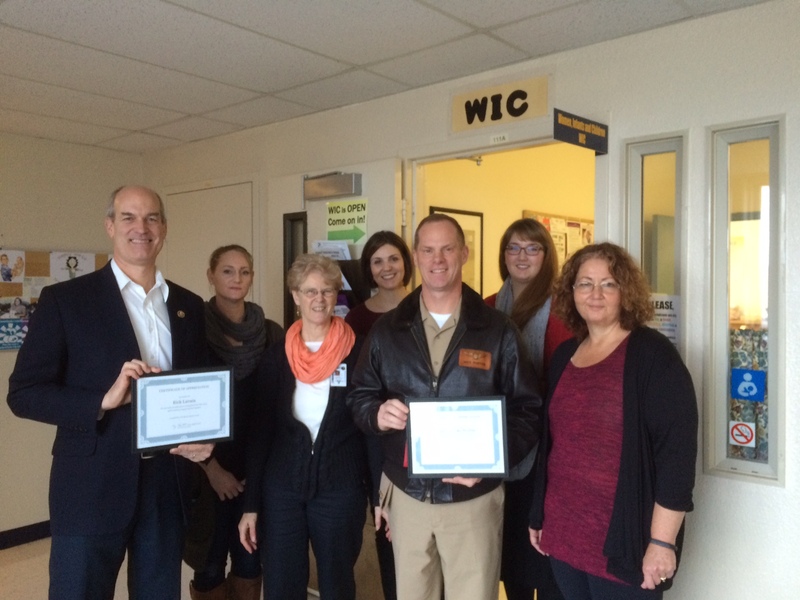 Thank you Congressman Larsen and Senator Patty Murray – NAS Whidbey WIC will stay open! Congressman Rick Larsen and Captain Nortier, CO of NAS – Whidbey Island, joined staff on Thursday to celebrate the recent decision announced by the Department of Navy that will allow Community Action’s NAS WIC office to keep its 27-year home on base that serves 650 WIC clients (moms, their babies and kids) each month! Congressman Larsen and Senator Patty Murray were stalwart supporters and advocates that were key in bringing this decision forward.